Article - Which Core Level Supplements Should You Take? The Core Level supplements that repair different body parts are irreplaceable for keeping your body functioning well. For example, Core Level Heart is often my secret to handling all manner of heart weaknesses or problems. It is good heart insurance! Each of these Core Levels were formulated by the late Dr. Alan Beardall. They contain what each particular body part needs to keep it healthy. All the minerals, vitamins, and herbs are in exact ratios so as not to create any imbalance or stress. There is more info on that in my article on supplements can contribute to disease & aging. Some of these supplements contain "glandular" material. A "gland" is usually a small organ that secretes hormones for use elsewhere in the body. The word gland is derived from Latin meaning "acorn". 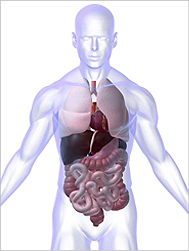 The glandular materials in the Core Levels act as an energy booster and blueprint for the targeted organ. It says, "Hey, heart tissue, remember how to act like heart tissue?" The Core Level glandulars are manufactured using a very exacting and patented process. In case, you have had glandular supplements from any other company, these are not the same and act very differently when you take them! Here are the body parts that you can keep better maintained through the Core Levels: adrenal glands, bone, gall bladder, heart, kidneys, large intestine, liver, lungs, lymph, ovaries, pancreas, small intestine, stomach, pituitary, prostate, teeth, testicles, thymus gland, thyroid gland and uterus. There is so much healing available through these products! Which ones would be useful for you to take? If you are female, all of them except Core Level Prostate and Core Level Orchic! If you are male, all of them except Core Level Uterus and Core Level Ovary! A successful action I highly recommend is continually rotating them to keep all those areas continually boosted. 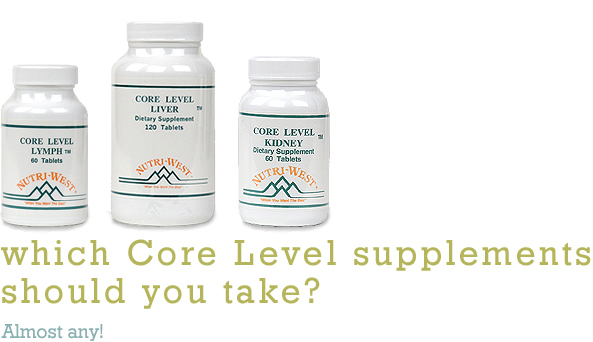 For example, take 5 of an assortment of these Core Levels per day. Ideally you would take a couple of each Core Level per week to keep all of those targeted areas gently maintained. Bodies degenerate quickly or slowly depending on how well you care for them! Best of health to all parts of your body!